Giving potted plants as gifts is growing in popularity, and with good reason. Potted plants are rarely more expensive than cut flowers, but they last much longer. With the right kind of care, they can even last for years. That said, not all potted plants are good gift ideas and, unfortunately, not all potted plant gifts can be persuaded to bloom again. Keep reading to learn about giving potted plants as gifts and caring for gifted container plants. When you’re looking to give flowering plants as gifts, you want to choose something that’s easy to care for. Unless you know your recipient to be an avid gardener who likes a challenge, you should opt for something that’s very low maintenance. Remember, you want to give a decoration, not a responsibility. 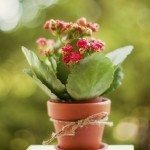 There are a few especially popular potted plant gifts that are known for their ease of care. African violets are an excellent choice for low light, and they’ll keep flowering almost year round. 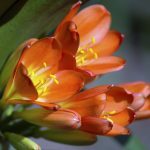 Clivia is a very hardy houseplant that blooms red and orange around Christmas and can last for years and years with little care. Small herbs, like lavender and rosemary, are the whole package: easy to care for, fragrant, and useful. 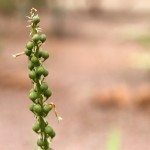 If you’ve been given flowering plants as gifts, you may be at a loss as to what to do with them. Cut flowers, of course, will only last so long and then must be tossed. 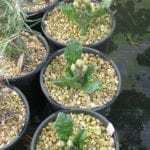 Most potted plants, however, can be replanted in the garden or left to grow in their pots. Unfortunately, some potted plants, like mums, are likely to last only one season. Flowering bulb plants, like tulips and hyacinths, can be saved for years. After they’re done blooming, place the pots outdoors or in a sunny window and keep watering them. They won’t bloom again this season, but the foliage will continue to grow. Later, when the foliage withers and yellows naturally, cut it off and dig up the bulbs. 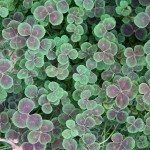 Dry them in a cool dark place and store them until the fall, when you can plant them in another pot or directly in your garden. They should come up naturally in the spring. Azaleas and African violets can be kept in their pots to bloom for years. 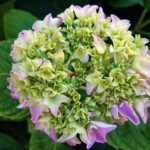 Hydrangeas, lily of the valley, and begonias can be transplanted out into the garden.